The U.S. added 48,000 jobs in construction, 21,000 jobs in manufacturing and 7,000 jobs in mining industries in January 2014, according to the Bureau of Labor Statistics. This increase is significant because the employees in these industries are most at risk for workplace eye injuries. Around 40 percent of workplace eye injuries occur in construction, manufacturing and mining industries each year. As jobs in these fields continue to grow, companies need to take a proactive approach on workplace eye safety to provide safety product information and help workers comply with federal regulations. According to The American Academy of Ophthalmology, 300,000 Americans visit the emergency room each year to treat eye injuries such as chemical burns or puncture wounds. The various injuries can result in damage from simple eye strain to permanent vision loss. In 2012, more than 20,000 workplace eye injuries required time off from work. Each year, these injuries cost more than $300 million in lost productivity, medical treatment and workers’ compensation. It’s critical for managers to understand that 90 percent of these injuries can be prevented by the use of proper eye protection. To prevent workplace eye injuries, operations managers must first know the relevant laws and safety guidelines such as the U.S. Occupational Safety and Health Administration’s requirements for eye and face protection. Next, they must assess the possibility for eye injuries in their facilities and mitigate the risk of injury by implementing engineering controls such as machine guards and work screens, educating employees on workplace dangers and providing proper eye protection. Depending on the type of risks—exposure to flying debris, chemicals, intense light, heat or dust particles—managers need to provide glasses with side shields, goggles, face shields or helmets. The protection must be adequate for the specific work the employee is performing and must properly fit the employee. Whether the companies or the employee provide the eye protection, managers must continuously monitor the use of the gear. Operations managers have busy day-to-day positions and need a partner when it comes to understanding regulations, providing knowledge about safety products, implementing safety procedures and ensuring compliance. Border States can be that partner. 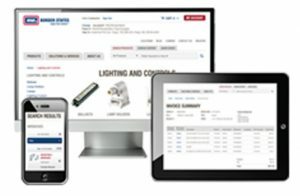 Border States keeps an inventory of the most commonly used safety products and 24-hour ordering to provide managers with quick delivery of products. 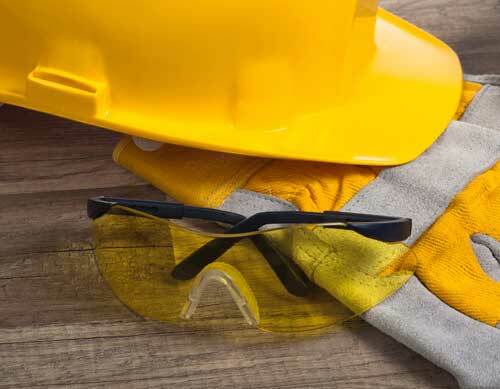 Managers can rely on Border States to provide safety education materials such as safety and warning signs, and a variety of protective wear such as eye protection approved by the American National Standards Institute to fit their specific needs. Border States offers a suite of services and solutions to help you get the job done, and done safely, including but not limited to: training, technical support, employee allowance, job site trailers, vendor-managed inventory (VMI) and more. Call and let us help meet all of your supply needs (866-483-7289). Want to order online? All you need to do is fill out this online form. Create custom templates, aka “My Lists.” Reduce search time, click, order, done.